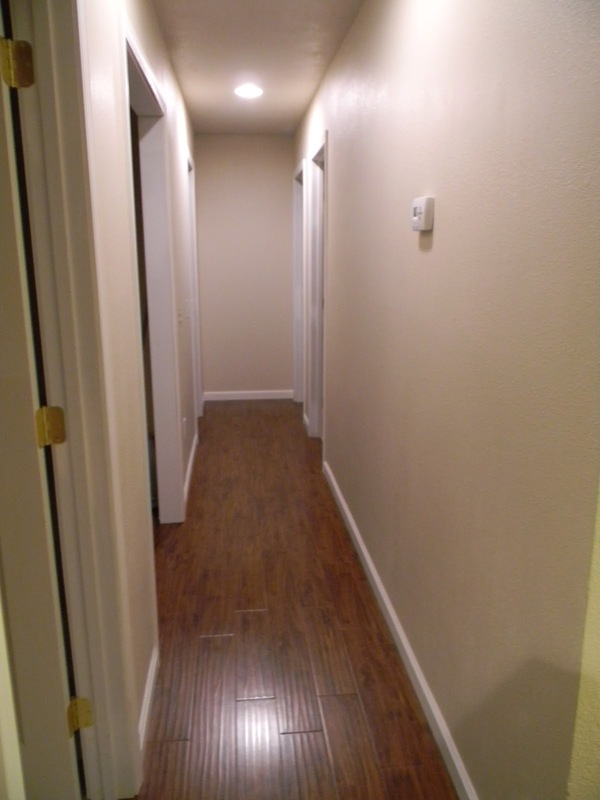 Our master bedroom is to the left and two guest bedrooms are to the right. I look at this space multiple times a day and it just seems so bare! So the husband and I went to World Market over the weekend to look for a nice occasional table or shelf...they had a great sale going on too so I was determined to find a good solution. We looked and looked but nothing seemed right. On our way out we say a shelf, and I thought just maybe it could work! The Seesaw Shelf is more modern than my "normal" traditional style, but the width was perfect and I thought I would give it a shot...plus it's on sale right now! So we brought it home and it looks like it was made for the space! Here it is! Here it is from down the hall. Bottom: Vintage candle holders...or maybe future bases for lamps? So what do you think? I really like the modern look of the shelf but think I balanced it with the traditional decor...I've gotten so much inspiration from my fellow bloggers! I'd love to hear your ideas on what accessories I should add! Seriously can't believe how perfectly it fits the space available! You should be PROUD of this find! I LOVE IT! You did a great job styling it! If you were going to add anything else I'm a big fan of greenery (like cattail balls or preserved boxwood balls). Have a great day!!! I love this! It fits so perfectly right where it is. Huge plus that it was on sale, too! P.S. I plan on doing an outfit post on the A Wang T as soon as possible! Promise! This looks great!! Could it fit any more perfectly?? I like how you've styled it thus far - I think some geode book ends would look great too! 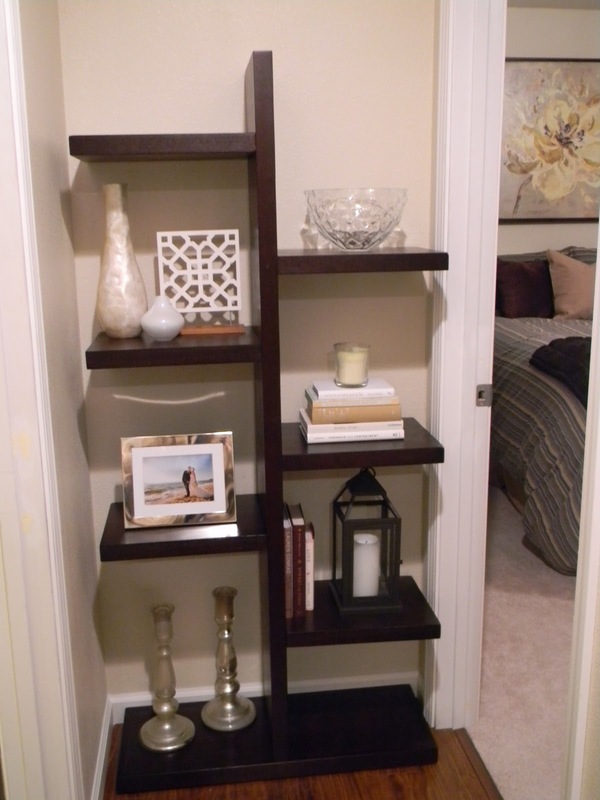 I love the shelf! You're going to have so much fun decorating and re-decorating it to match your moods/holidays/new purchases! ps: new to the blog! Loving what I've seen so far! Keep it up! It looks lovely, can't believe how perfectly it fits! 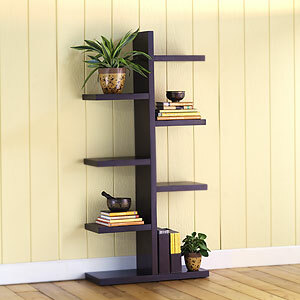 Your classic decor definitely balance out the modern feel of the shelf, it's just perfect! Ooooh, so much fun! It looks great, such a perfect fit! that looks great! a nice modern way to fill the space! 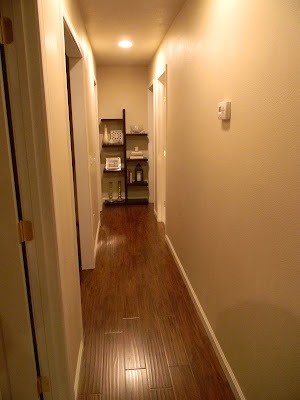 and your hallway jus just like mine, narrow with lots of doorways!